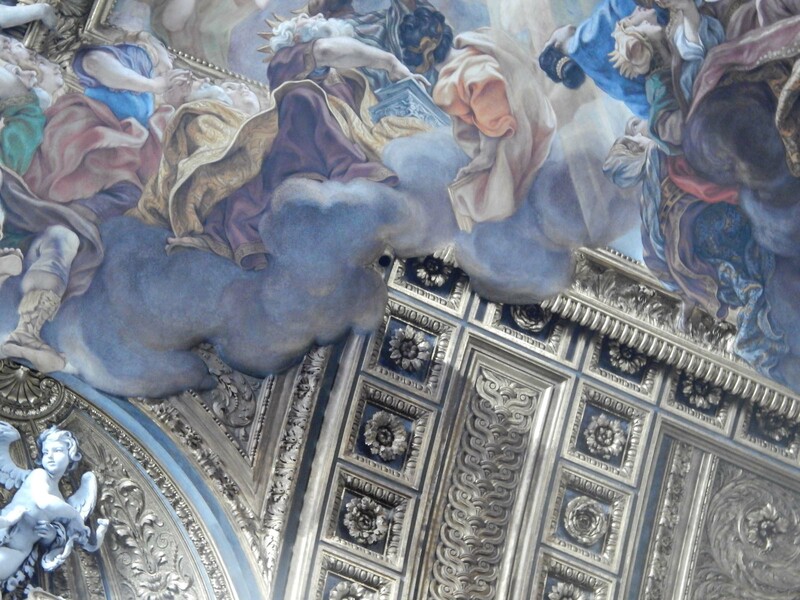 Baroque in art and architecture is about bringing the sacred to the profane through the body, the senses and the emotions. Utilizing theatrical techniques Bernini was the master of such illusions in architecture, in sculpture and in painting making us feel the divine through our body and our senses. It is believed that he was the master and main supporter of Giovanni Battista Gaulli who painted the ceiling of the church of the Jesuit order, the Gesù, Taken under Bernini’s well-connected wing, Gaulli was introduced to the great patrons of seventeenth century Rome, and was taught to capture the spontaneity of expression of the Baroque.